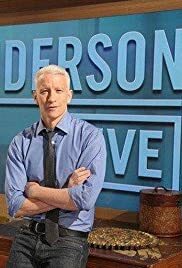 Andy Cohen vs. Anderson Cooper: Who's Kinkier? Someone has to say,"no more, this stops now", Bully. Bully, when Parents decide to put an end to this behavior by refusing to send their kids to schools that allow this to continue,this will finally end. Parents who have lost their kids need to partner with Parents of kids who are presently being tormented then go to schools where this is going on and get all teachers and administration to sign a contract declaring the school a zero tolerance for bullying, if a student is caught bullying, they are expelled for three days plus your Parents are notified and its noted in your personal profile,on the first event. The cost for bullying must increase incrementally if the behavior persists or the bullying will continue, period.